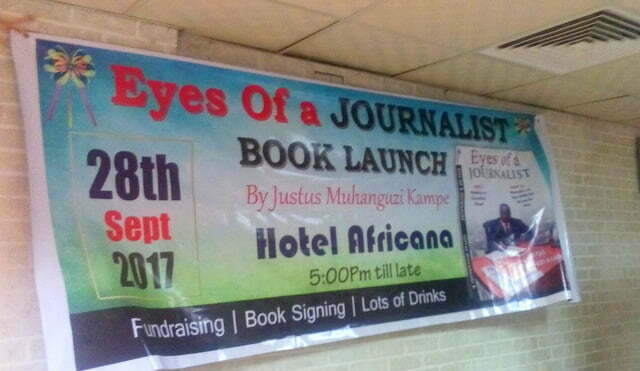 Veteran journalist Justus Muhanguzi Kampe Eyes of a journalist book launched last week. Internet Photo. The Rwanda High Commission in Uganda has issued a statement dismissing reports by veteran journalist Justus Muhanguzi Kampe that he was intimidated in a bid to stop him from launching his book on the Rwandan genocide. The book, “Eyes of a Journalist,” an eyewitness account of the 1990-1994 war in Rwanda, was launched last week. This was more than five months after it had initially set to be launched in April but the event was called off abruptly. On Thursday, Muhanguzi told the gathering at the book launch at Hotel Africana that he was forced to call off the April launch by Rwanda Ambassador Major General Frank Mugambage. Muhanguzi apologized to his friends and readers for deceiving them why the launch was called off just hours to the April 6th unveiling. He said that on the 5th of April, he was called to Uganda Police headquarters, Naguru for an urgent meeting with Inspector General of Police Kale Kayihura. The call was reportedly made by police spokesperson Asan Kasingye. Though, the meeting never happened because he was informed that Kayihura was busy, he found a Rwanda High Commission police liaison officer called Ismael Baguma. He says Baguma told him that they had issues with his book. Though Baguma said they were not against the book launch, he argued that they wanted Muhanguzi to balance and update it since he was talking about things that happened a long time ago. Baguma reportedly told Muhanguzi that they were ready to facilitate his travel to Kigali to enable him gather fresh information. Mugambage cautioned Muhanguzi against being misguided by Rwanda’s enemies. 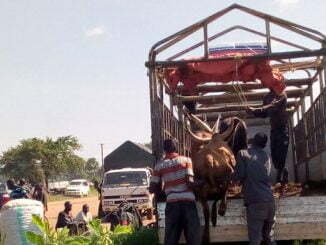 “Without mincing words, (Ambassador) Mugambage told me to abandon the idea of the launch and said the international community was only interested in healing the wounds caused by genocide…I realized I was under captivity and was not sure whether I would get out of the embassy premises in one piece…I apologized for my wrong doing,” he said during the launch. Before being allowed to leave the embassy, Muhanguzi says he was warned never to leak what happened to the media and never to release a single copy of the book. The statement says the High Commission had invited him to show these distortions and falsehoods in the book before the 6th April launch, which coincided with the 23 genocide commemoration. The statement, however, dismisses as baseless reports that its officials, including Ambassador Mugambage, threatened the book author. “The allegation that while at the High Commission, Mr Justus Muhanguzi was threatened is baseless and unfounded. It is true Mr Justus Muhanguzi met the High Commissioner several times and other diplomats… Mr Justus Muhanguzi accepted and apologized for wrong information in his book and revealed that some people with certain interest had engaged him in the project,” the statement says. The High Commission further asserts that Muhanguzi insisted on requesting for money which he referred to as compensation for the time he spent writing the book. “The High Commission rejected this attempt as blackmail,” reads the statement. “It is surprising to hear him say he was held hostage yet he was a regular visitor at the High Commission, a fact that can be proved by CCTV at the High Commission and numerous calls he made seeking appointment,” the statement adds. The claims come at backdrop of reports that Rwanda was systematically targeting real or perceived enemies of President Paul Kagame across borders. 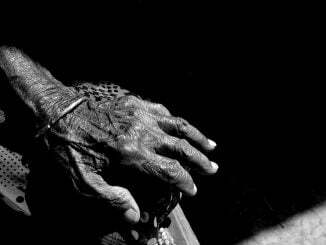 In 2014, Human Rights Watch in its report documented what it called numerous cases of arbitrary arrests, detentions, prosecutions, killings, torture, enforced disappearances, threats, harassment, and intimidation against government opponents and critics. The report also talked about the repression of dissidents in Uganda, Kenya, South Africa and in Europe. In South Africa, Patrick Karegeya, a former intelligence chief-turned critic of the Rwanda government, was found dead in a hotel room on New Year’s day in 2014. Kayumba Nyamwasa, a former head of the Rwandan army survived an assassination attempt in 2010. In Uganda, for instance, cases of attacks include that of Charles Ingabire, editor of the Web site Inyenyeri News, who had been living as a political refugee in Kampala before he was shot dead in December 2011. 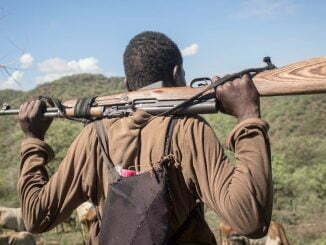 The Human Rights Watch report says that Uganda, despite its proximity to Rwanda, has become one of the least safe countries for Rwandans facing political persecution because of the close links between the police and intelligence services of the two countries. Muhanguzi mentioned Kasingye, a senior police officer, as the man who organised the meeting with the Rwanda embassy officials. In 2013, another police officer, Joel Aguma, was mentioned in an incident in which a former Rwandan soldier Joel Mutabazi was picked in Uganda and handed over to the Kigali government.